The first leg match of the UEFA Champions League's round of 16 clash between Manchester United and Paris Saint-Germain at Old Trafford gave football fans a heart-pumping, adrenaline-filled action. In a hostile environment, PSG managed to score two goals. United played very well but they might have underestimated their opponents who were without their top stars Neymar and Edinson Cavani. Presnel Kimpembe and Kylian Mbappe proved that they don't need top players to be on their side always. It was an unpredictable match that favoured the away team. The story is not over yet. The Red Devils are set to face off against The Parisians in the second leg on March. The match would take place in Parc des Princes. Apart from having a two-goal deficit, here are the possible reasons why the Red Devils won't be able to beat PSG in the return leg. The wins and loses of a team depend on its game changers. One goal in the least expected fraction of second can be a difference between win and loss. Paul Pogba is such a game changer that he can score a goal or create it when the opposing teams least expect it. Pogba has fared really well in the 2018-19 English Premier League season since Jose Mourinho left the team and Ole Gunnar Solskjaer arrived. As of now, the French midfielder has notched up 11 goals in the season. He has two crucial Champions League goals under his belt this season. He also has a tackle success of 63 percent. 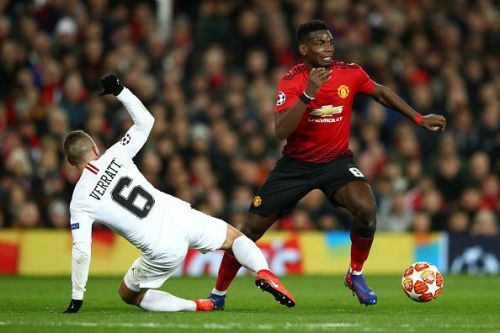 Unfortunately, the team's lucky charm Pogba received a red card during the first leg against PSG. 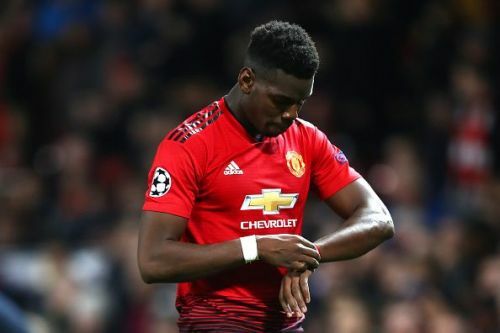 There is every reason to believe that Pogba's absence in the second leg would affect Manchester United's chances of a comeback.